We recently installed these Choices Aluminium bifolding doors, along with some Flush 70 windows, from the choices Alternative to Timber range. These doors and windows add a modern look to the exterior of any building. Choices aluminium bifolding and multifolding doors provide a versatile solution for conservatories, orangeries and extensions. These doors are strong, stable and provide superb resistance to any impact. As well as providing outstanding thermal performance, there is a wide range of customisable options. There is a wide range of colours to choose from, as well as a wide range of hardware. 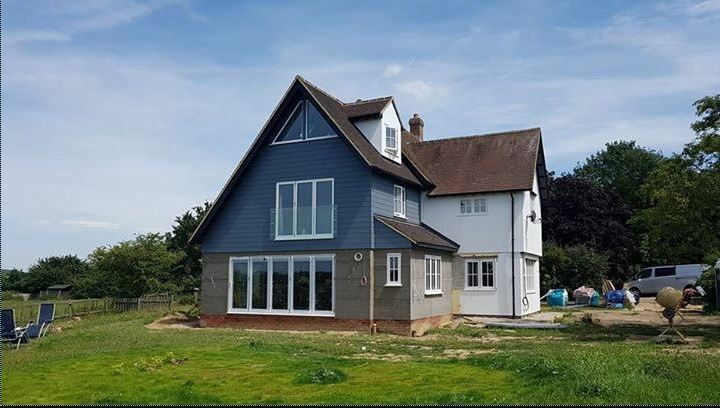 The expert design means Choices Alternative to Timber Flush 70 windows look just like traditional timber windows, but without the maintenance. This also means they are perfect for homeowners in conservation areas, as well as in older properties. For more information on what we have to offer, why not get in touch today.